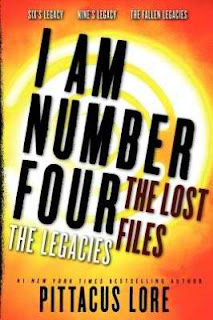 Novellas work well for fans of the characters in a series, and that is certainly the case with The Legacies, a compilation of novellas from the Lorien Legacies. Three novellas are included – Six’s Legacy, Nine’s Legacy & The Fallen Legacies. Six’s Legacy delves into Six’s history, complete with an ending that broke my heart. Nine’s Legacy introduces Nine’s past as well, explaining Nine’s hard exterior and strong attitude. But my favorite novella is The Fallen Legacies, simply because we get to meet One, Two and Three and hear their stories. It was written very uniquely, with an unexpected narrator. It was interesting to learn about each one of them. If you’re a fan of the Lorien Legacies, then checking out these novellas is certainly a must. You’ll gain further insight into some of the main characters in the series, as well as learn more about Lorien and their enemy. This second collection of novellas allows readers to delve further into the lore of this series, whether it's about humans, Mogadorians or Loriens. There is so much to know about these races, honestly, and it truly surprises me since this is information I didn't know that I wanted to know until I read it for myself. The Search for Sam was actually a great novella to open with, mostly because it revisits a few characters who appeared in the earlier collection. The Last Days of Lorien was, on the other hand, a surprise like for me, as I wasn't too invested at the start. 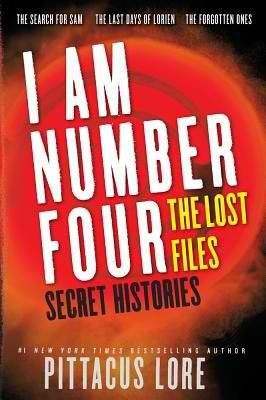 The Forgotten Ones just had me raring to read the newest novel in the series (The Fall of Five) right away. What I like about this second set of novellas is that they served to remind me, yet again, of why I like the series so much. The story's plot is simple, but gets complicated by twists here or there. There's also great distinctions between the characters, and reasons to root for the Lorien to win out over the Mogadorians. If you're already a fan, then these novellas are definitely a must-read.